Please refer to our stock # 8477 when inquiring. 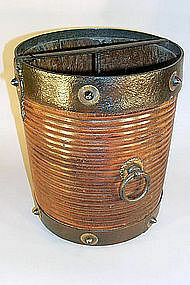 Wonderful iron and brass bound walnut bucket with ribbed body and applied carrying handles. Continental, 18th/19th century.